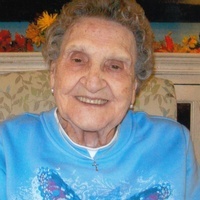 Mildred “Granny Mill” Shelton, Age 96, of Mayfield, KY passed away Wednesday March 6, 2019 at the Green Acres Healthcare Facility in Mayfield, KY.
She was retired from Curlee Clothing Company in Mayfield. Mrs. Shelton is survived by; one son, Richard (Carolyn) Shelton of Mayfield, KY; one daughter, Nedra (Terry) Courtney of Mayfield, KY; two grandsons, Brad Shelton of Boaz, KY and David Courtney of Chicago, IL; one granddaughter, Amanda Gregory of Sikeston, MO; six great-grandchildren, and four great-great-grandchildren also survive. She was preceded in death by; her husband, Floyd “Pete” Shelton; grandchild, Kimberly Courtney; two brothers, James and Charles Willie; one sister, Laverne Ringo; parents, Amos and Ruth Willie.